With so many great options how can you choose? 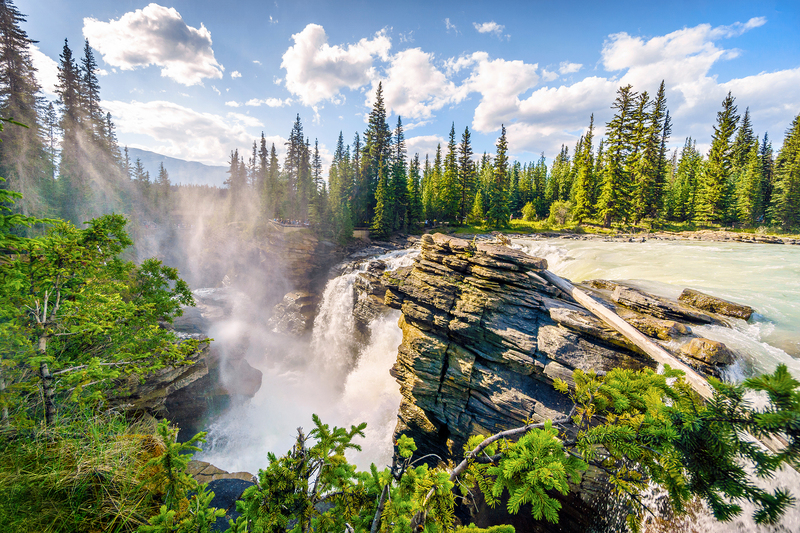 Talk a walk on the wild side with these cool things to do in Jasper. 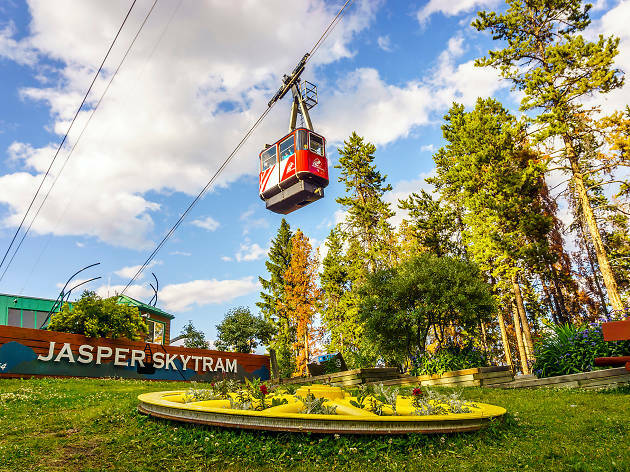 Fellow Canadian Rocky Mountain town Banff may steal all the hype, but Jasper – with a population of less than 4,500 – has heart. 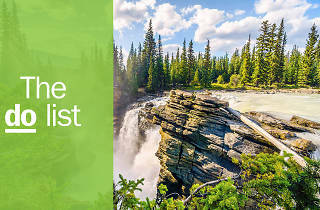 Located in the Jasper National Park, surrounded by towering, snow-capped, glacial peaks, sapphire-blue lakes, rivers and waterfalls, and pristine alpine meadows, Jasper is an adrenaline – and Instagram – junkie’s dream. Especially come winter, when the snow bros come to town for one of the longest ski seasons in the Rockies, with slopes generally open until early May. In July and August, when temperatures rise to 30C, it’s all about hiking, climbing, kayaking and white water rafting. 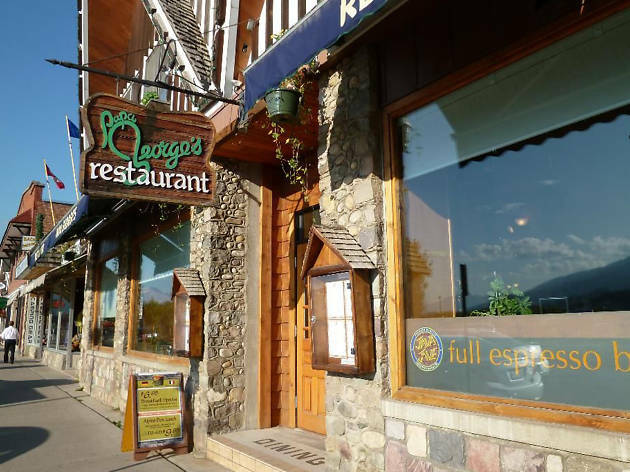 But with plenty of eateries to choose from – one for every 120 people, and few big chains – Jasper has become something of a food mecca too. 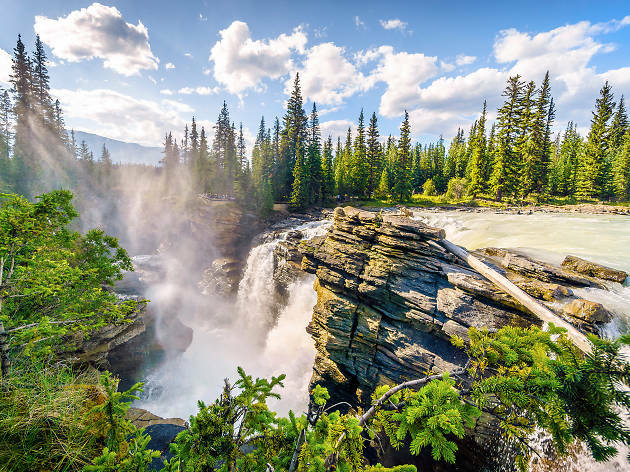 And while there may be a direct rail connection to Vancouver – the Rocky Mountaineer train stops here – Jasper retains a sense of peaceful isolation. Therein lies its irresistible appeal. What is it? Connecting Jasper and Lake Louise, the dramatic Icefields Parkway winds 232km through the Rockies. Why go? Getting to Jasper is part of the adventure. This route hugs hillsides and takes you past more than 100 ancient glaciers, numerous waterfalls, and those ‘what-do-you-mean-that’s-not-Photoshopped?’ turquoise lakes. With only one service station along the route, don’t forget to fill the tank first. What is it? 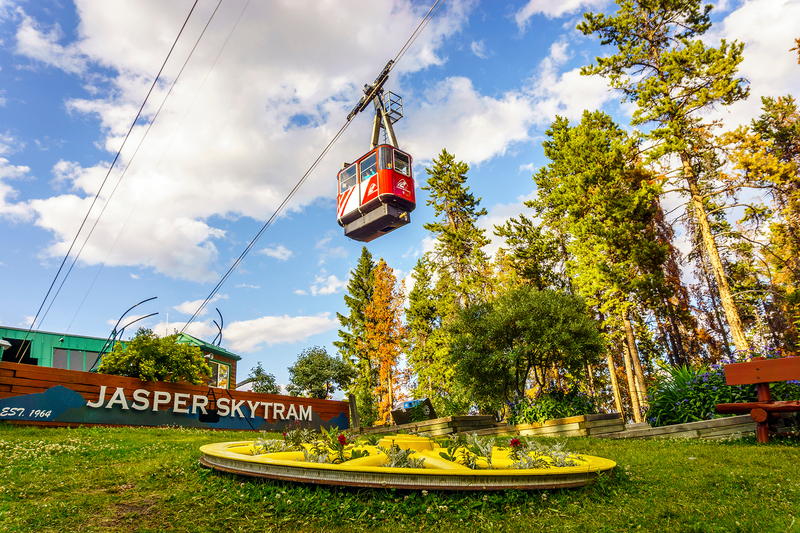 A seven-minute gondola ride taking you to spectacular views, 2,263 meters up Whistlers Mountain. Why go? If you want to scale a mountain but don’t feel like hiking all the way, the SkyTram is for you. Get off and walk the rest of the way to the top for breathtaking views across the Rockies, including Mount Robson, the range’s highest peak. Though trams depart from the base every nine minutes, it’s worth pre-booking online to save time. What is it? 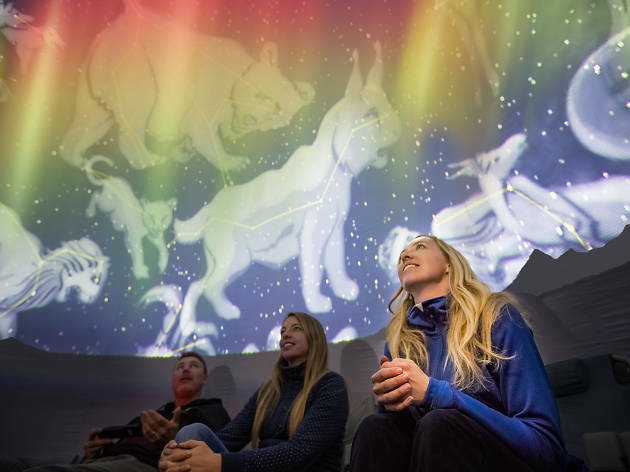 As well as having a full astronomy dome onsite, Jasper Planetarium offers regular offsite events outdoors – from stargazing on the top of a mountain to lakeside meteor-spotting. Why go? With its remote location and lack of light pollution, Jasper is one of the world’s largest Dark Sky Preserves, meaning it’s one of the best places in the world to see the stars. If you’re lucky in winter, you may even spot the Northern Lights. Otherwise, arrive in August for the big annual meteor shower or October for a symphony under the stars at the Jasper Dark Sky Festival. What is it? This little cabin tucked away in the woods may just be the most Canadian dining experience you can get. Tekarra has been welcoming guests since 1952, with past patrons including everyone from local hockey team, the Edmonton Oilers to John Travolta, and Marilyn Monroe. Why go? Though the cabin itself is satisfyingly rustic, the menu is all about fine-dining – but with a local touch. 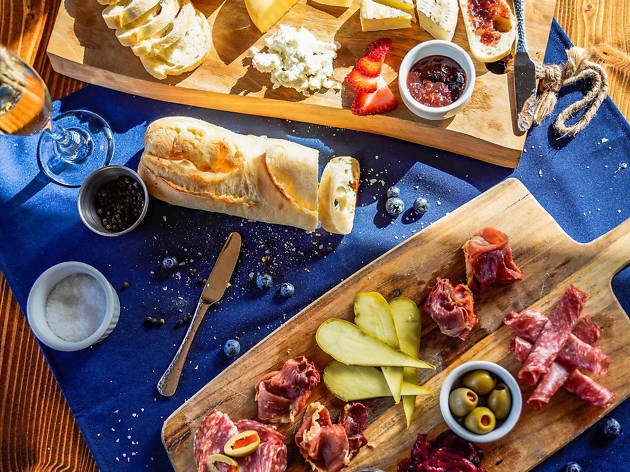 Get ready to chow down on a hearty feast of elk, bison, wild boar, or Alberta’s famous AAA beef. Aim to get there well in advance of sundown, so when you’re done, you can take a cocktail with you to the lookout point over the Athabasca River as the sun sets behind the mountains. There’s also very cute cabin accommodation onsite if you can’t tear yourself away. What is it? 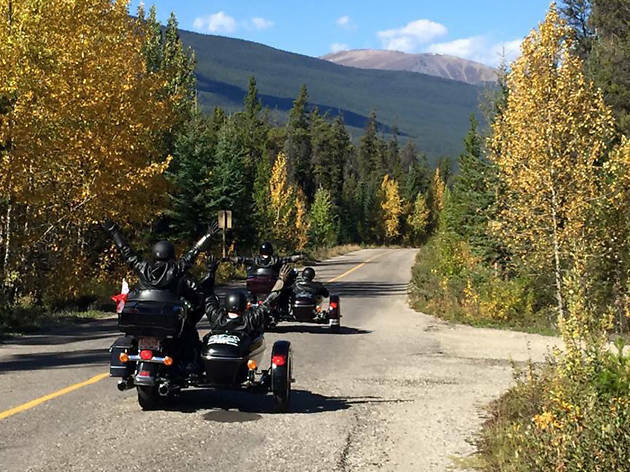 Jasper Motorcycle Tours offers sidecar trips through the mountains to give you the thrill of riding a Harley, while absolutely being able to take your eyes off the road. Why go? To truly see the vast expanse of the Rockies, you need to hit the road – so do it in style. Did we mention you get to wear leathers, too? Each sidecar can hold two people, with tours lasting from one to six hours from April 15 to October 15. What is it? A Jasper institution since 1925. If family-run restaurant Papa George’s were a person, it would be your favorite aunty who always offers you a big, warm hug. Why go? From its warm wood decor, cozy-casual atmosphere, to a menu brimming with naughty-but-nice indulgences, this place specializes in comfort food in a homely environment. Go for a long, lazy breakfast. Though there’s not a bad egg on the menu, the fluffy buttermilk pancakes are an absolute must. What is it? Marmot’s ski area offers the highest base elevation in Canada, meaning heavy dumps are guaranteed. Just a 30-minute drive from town, there are seven lifts and 1,720 acres (696 hectares) of terrain to explore. Why go? The Rocky Mountains are rightly famous for some of the best skiing in the world. And with airy powder, wide open runs, uncrowded ski lifts and a six-month season, there are few better places to sharpen your skills. In late 2017 it added ‘Tres Hombres’, 367 vertical meters of expert terrain. Marmot is generally open from November to May, but check the website before planning a visit. What is it? 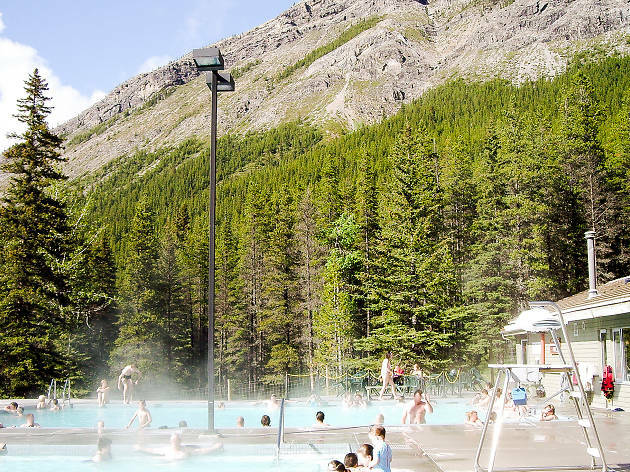 Miette’s sulphate, calcium, bicarbonate, magnesium, and sodium-rich waters lay claim to being the hottest mineral springs in the Canadian Rockies, flowing at 54C then cooled to a comfortable 40C. Why go? If you’re dreaming of the peaceful, unspoilt rock pool springs you’re bombarded with on Instagram, this is not that. But after a long day hiking or skiing, the waters are still heavenly for aching muscles. Cool yourself in the crisp mountain air between dips. And if you’re too chilled to make it back to town, there’s cabin accommodation onsite. What is it? 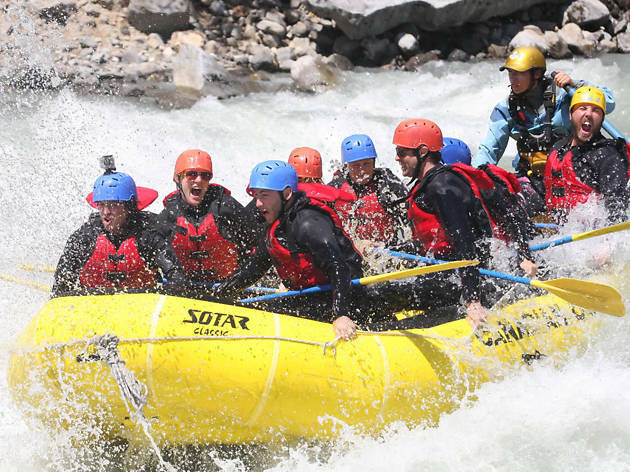 You’re spoilt for choice in Jasper when it comes to hitting the rapids – Maligne Rafting Adventures offers three different experiences on three nearby rivers. Why go? 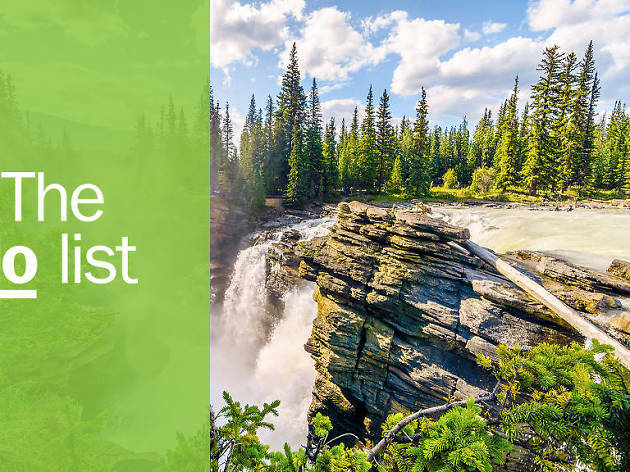 For nervous first-timers or family groups, the Athabasca offers gentle class 2 water, followed by a scenic paddle through the valley. For those seeking more excitement, there’s the Mighty Fraser and the Sunwapta (Stoney Indian term for ‘turbulent river’), offering rougher class 3 rapids, and steep canyon walls. Head there in high water, from mid-June to late July, for the biggest rapids. What is it? You may have never heard of Spirit Island, but you’ve likely seen countless pictures of it. One of the most photographed beauty spots in the world, this tiny tree-marked spit of land jutting out into the vivid blue waters of Maligne Lake can only be reached by boat. Why go? 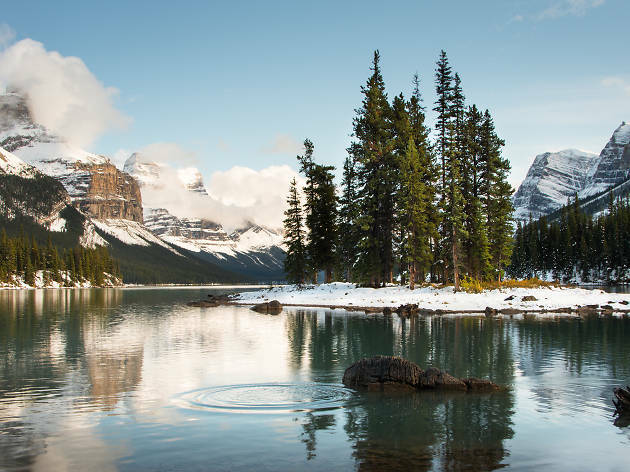 The Rockies are full of places that are so beautiful they hardly look real – and Maligne Lake and its surrounding glaciers can rightly claim a spot near the top of the list. Heated cruise boats take you across the glacier-fed lake to the peaks of the south side. Photo enthusiasts can join a ‘Through the Lens’ tour, with a professional photographer onboard to offer tips. What is it? When there’s fluffy powder in the trees and a blanket of snow on the ground, Jasper is at its most magical. 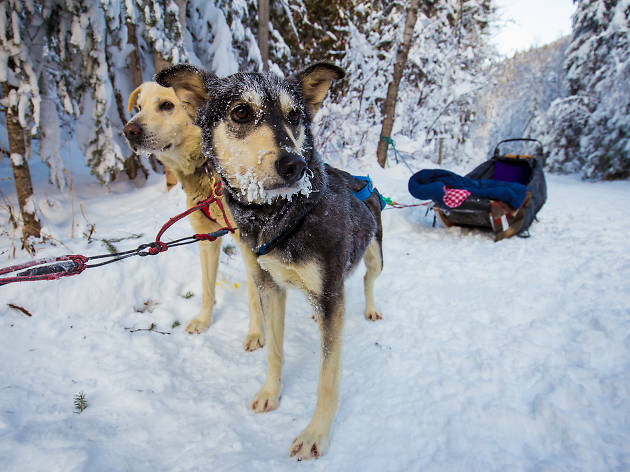 You could explore by snowshoeing, or cross-country skiing, but why do that when you can team-up with a crew of adorable Alaskan huskies? Why go? A sleigh ride will take you to areas not otherwise accessible. Glide through silent snowy expanses and past frozen waterfalls on trips ranging from an hour to magical overnighters in a remote log cabin. What is it? With water a key ingredient in determining the taste of a beer, what better place for a brewery than in the midst of the Rocky Mountains? The guys behind Jasper Brewing Company felt so too, and set up a brewpub using water from nearby glaciers in 2005. Why go? The resulting beer is bright, clear, and has a sharp freshness in every pint. The brewery also has the honor of being Canada’s first National Park Brewery. 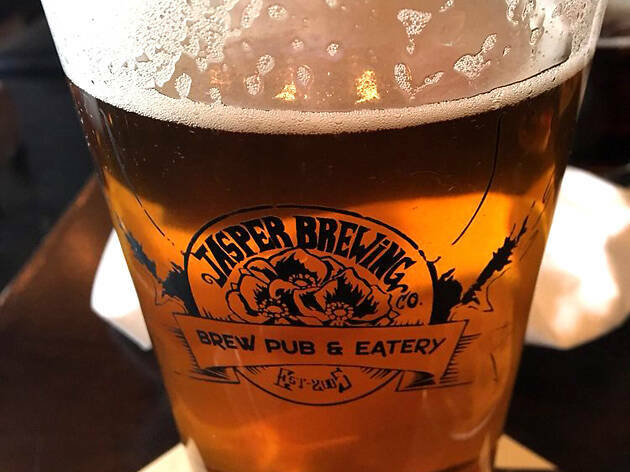 Head for the brewpub in the centre of Jasper town for a six-strong flight of its most popular beers including strongly hopped IPAs, pilsners, and a blueberry vanilla ale. What is it? 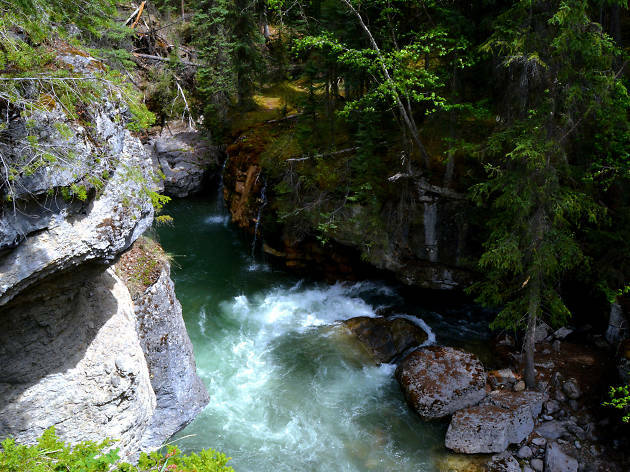 This short but picturesque trail takes you above and through the deepest canyon in Jasper National Park, with a depth of more than 50 meters at some points. Why go? It’s an easy walk via a series of bridges that take the path over roaring waterfalls in the summer. For the adventurous, the frozen walls of the canyon become a popular spot for ice-climbing in winter. What is it? Another way of immersing yourself in nature without much physical exertion is the Skywalk. 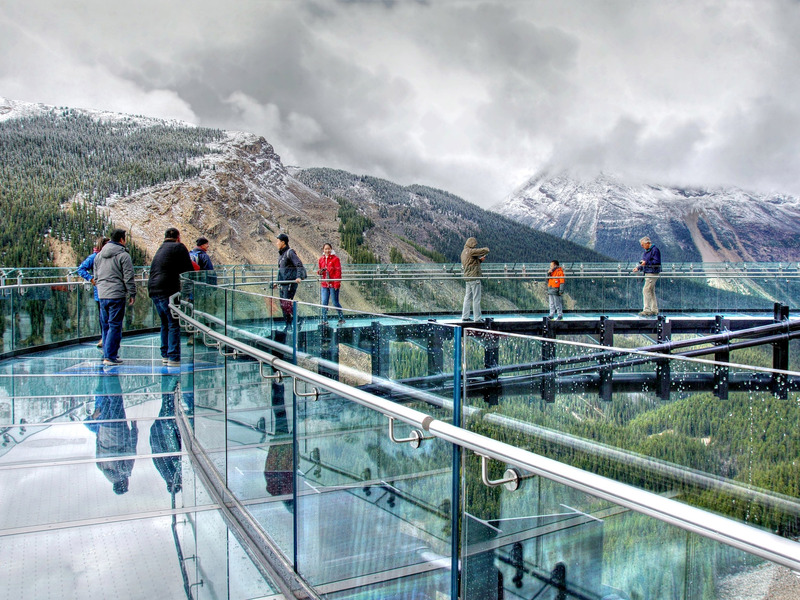 This suspended glass platform hangs above a 280-meter drop, with spectacular views over the Sunwapta Valley and to the glaciers beyond. Why go? For unrivalled valley views with an added thrill thanks to the glass floor. Perennially popular, head there before 1pm or after 3pm to avoid the crowds. And be warned: all visitors must park at the Columbia Icefield Glacier Discovery Centre, further down Highway 93.